You might also be interested with this blog Search Paging implementation in S/4HANA and CRM Fiori application. The search implemented by WebClient UI framework in S/4HANA for Customer Management(called as S4CRM for short) does have paging mechanism with a small difference compared with other SAP products. 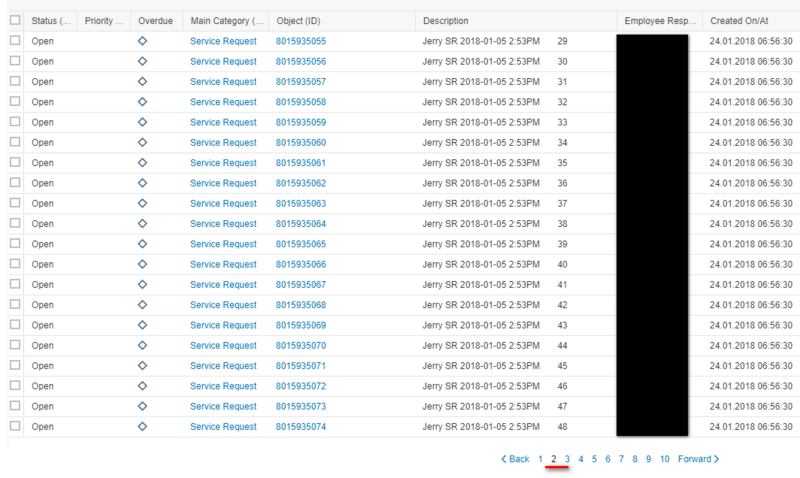 In my test system I prepares lots of Service Request as test data, so 200 Service Requests found as expected. The results are divided into 10 pages with each page displaying 20 rows by default. 1. Business data with number which equals to “max hit” value specified by end user is retrieved from database and held in application memory in ABAP backend server. In my example above, the number is 200. 2. As WebClient UI is a server-rendering technology, all html source code are prepared in ABAP server. The browser simply displays those html source code assembled in the backend. 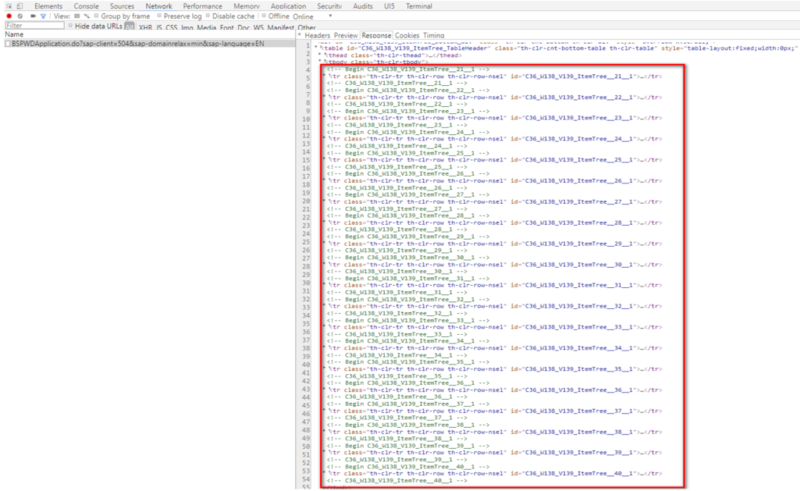 ABAP backend only renders source code for records which will be visible in current page. Take my above example for illustration, after I click search button, 200 Service Requests are fetched and held in the given buffer implemented in Agent search application. WebClient UI framework then prepare html source code for first 20 Service Requests. When I click page index “2”, the source code for 21th~ 40th records are generated. If you woud like to get these two conclusions by yourself, you can following my research steps below. How does backend server know it should render rows starting with index 21? 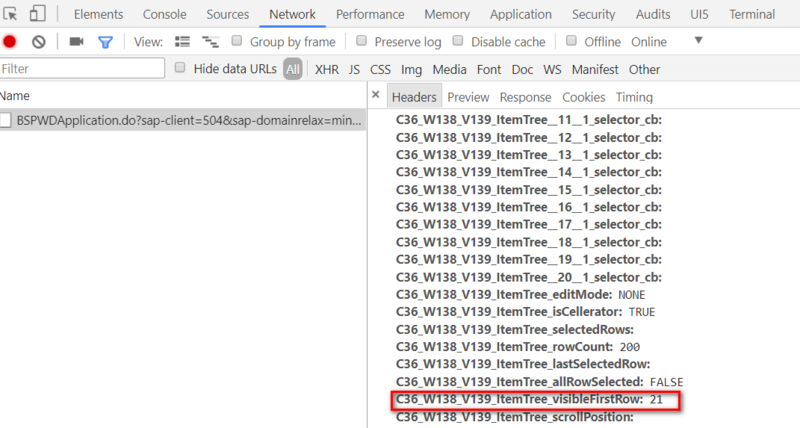 This index is passed by frontend via http request parameter ItemTree_visibleFirstRow. why gt_table_entries have 168 records? 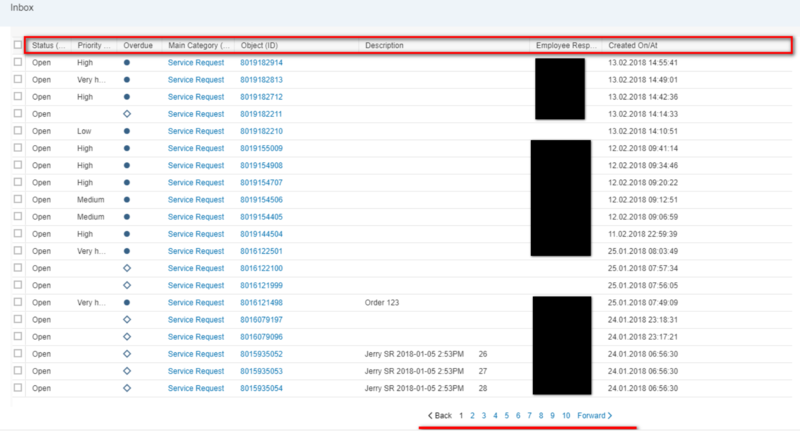 CRM One Order Model Redesign in S/4HANA for Customer Management 1.0 – Part 1 – this blog give you more detail about One Order Model Redesign and how One order readworks under this new adapted model in S/4HANA. Part 2 – continue with Part 1, focus on write scenario. 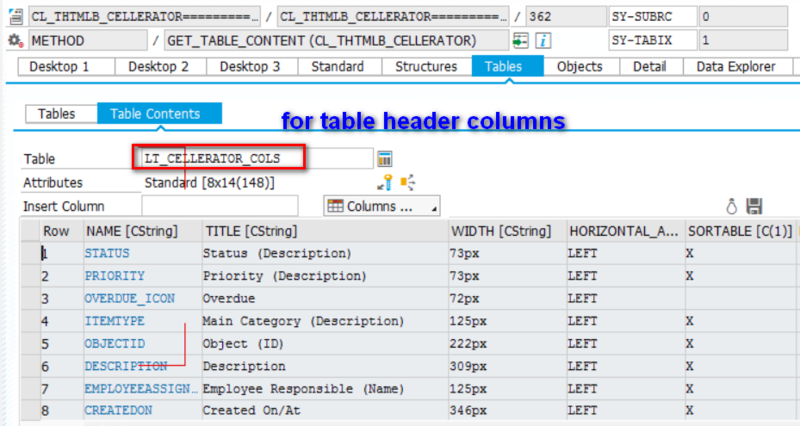 Create Mass Products by code in S4HANA for Customer Management – this blog briefly introduces how CRM Product works in S/4HANA for Customer Management and provides the example how to create product using ABAP code. One Order Partner Component model in S/4HANA for Customer Management – it is well known that in service document header and each item, it is possible to maintain multiple partners with different party roles. How is it handled in the new world? (2) IC Service Request ManagementThe package provides all accelerators needed to set up and test a system with these processes configured and ready to use. It provides customers, partners and SAP the possibility to explore the solution quickly. The package is also the basis for a engineered implementation service.